COPE2 is one of the most notorious bombers in New York City and the five boroughs. I first stumbled upon his work in the early 90’s. From the Bronx to downtown to Brooklyn he had pieces everywhere. The two color, very stylish bubble letter throw ups reading COPE, were just everywhere. The guy was definitely one of the most prolific bombers I’ve ever seen, and I’ve spent a lot of time in New York City. Especially in the 90’s, COPE was everywhere. I found out later on that he had actually been out bombing since the early 80’s, starting very young. Some of the stuff I saw in the early 90’s had maybe been around three, five, eight, even ten years, who knows-¦ but he just stayed at it. He was incredibly tenacious and had built up a huge amount of work around the city. Of course graffiti is ephemeral, but back then New York wasn’t cleaned as fast, so his stuff was accumulating. I didn’t meet him, I just knew him through his work, and I just thought for traditional graffiti this guy has one of the best styles. Of course, success in graffiti is measured by volume and he was one of the most , if not the most, up of anyone in New York City. I first got in touch with COPE2 because he had painted on a skateboard that ended up in a show in our gallery. I said, “Wow, COPE2-¦.that guy’s work is everywhere but I’ve never met him, I don’t even know anyone who knows him. Do you have his email?” The guy that organized the skateboard show had the contact info, so I emailed him. COPE was super cool and said he knew my work well. He said he would love to link up sometime when I was in New York, so yeah it somehow happened.. by modern technology. We ended up becoming friends and collaborating on a couple of walls. He took me up to the Bronx and we worked on a wall there on a production he’s maintained for many years. He also took me out to do some bombing and hit some freeway spots. I simultaneously was doing a wall down in Manhattan that I had permission for, a really high-profile wall and told COPE2 he should get up on either end of this wall too. We showed a little uptown/downtown love, and mutual appreciation. We liked the way the production in the Bronx came out so much that we decided on a poster collaboration. Martha Cooper, who is one of the all-time great graffiti photographers, shot the photo. So between me, COPE2, and Martha, it was a pretty epic collaboration. 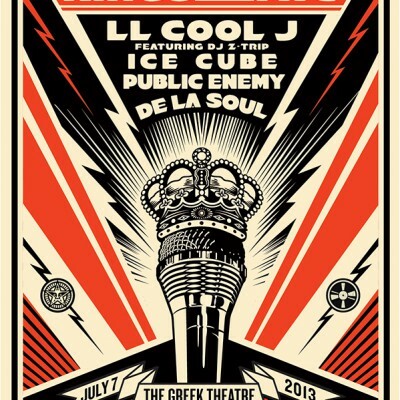 We talked about doing something with the Obey clothing line with COPE2. His work is great and he can pretty much do tags on top of anything, so we decided to let him do his thing on top of the OBEY icon, to also create a shirt of our Bronx collaboration. We have some great stuff coming out, and I’m always about putting the spotlight on people that I think have really put a lot of work in the culture and have earned the respect that they deserve. COPE2 is one of those people. 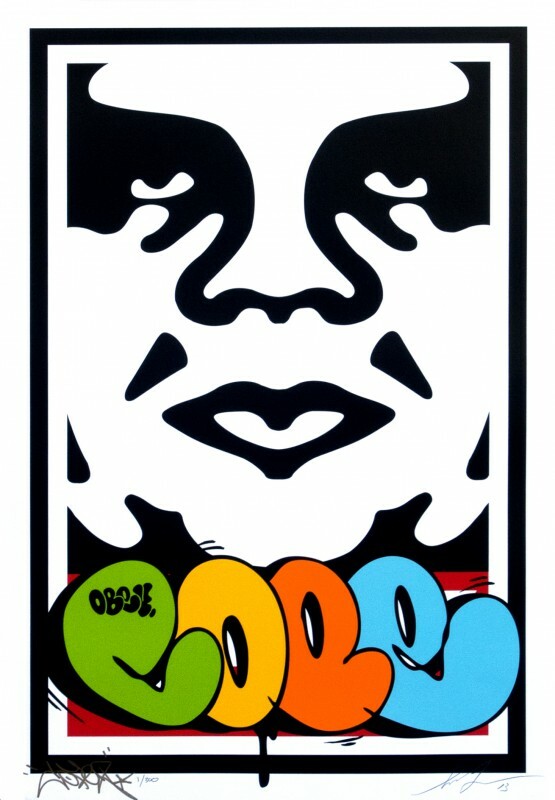 This poster marks the release of the COPE2 collaboration with OBEY Clothing. 16 x 24 inch Screen Print. 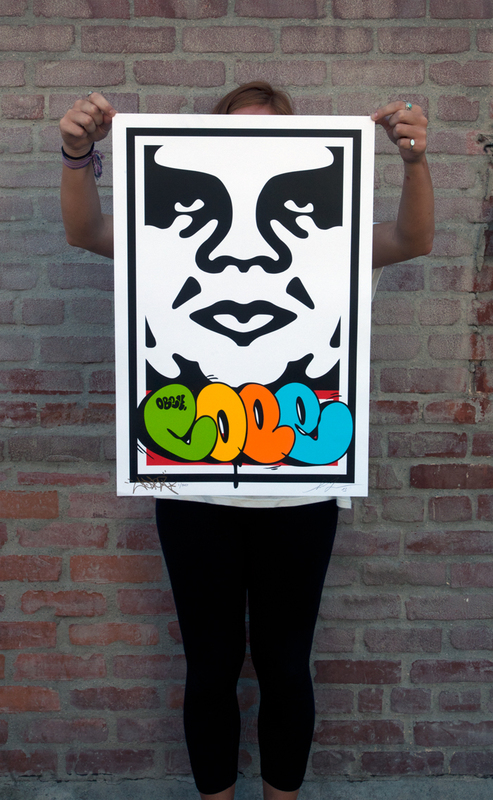 Signed by Shepard Fairey and COPE2. 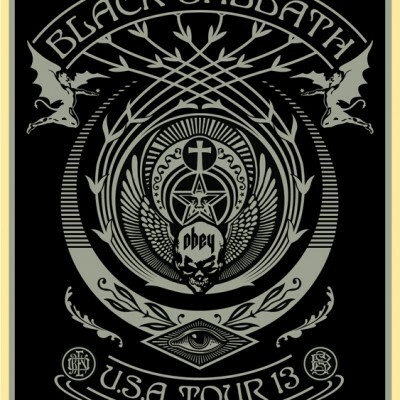 Numbered edition of 300. (100 will be available from this site) $50. Limit 1 per person/household.